What builds community? Interaction. Here in Los Angeles, there is no proper formula how to pull this off with such a wide variety of urban landscapes. There is one universal truth: it cannot be done in a car. It must be done on foot, whether at our coffee shops, town meetings or just walking around your hood. I applaud other ways of pulling us outside our homes, but I’m just not creative enough how to do this more without shouting “fire”. 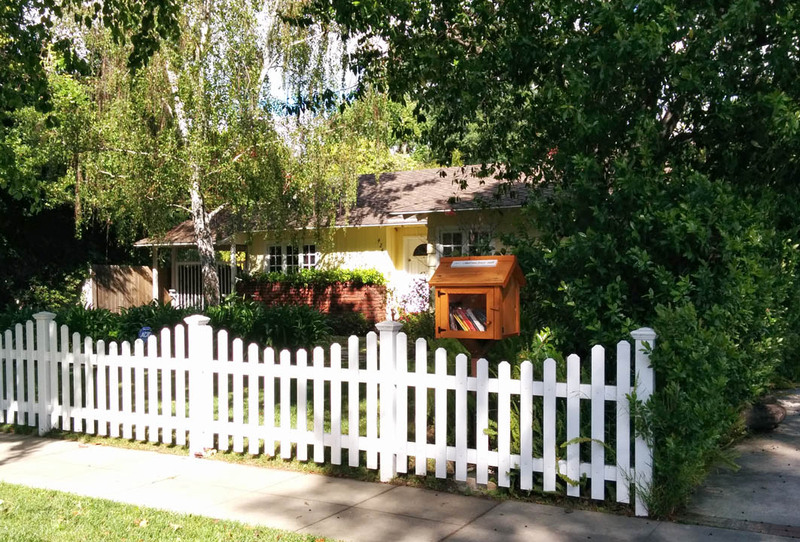 A couple of months ago, my wife and I decided to wander the valley, mostly on side streets to rekindle one of our favorite hobbies: home browsing! We’re not really hunting for a purchase, but always on the lookout for fresh ideas. 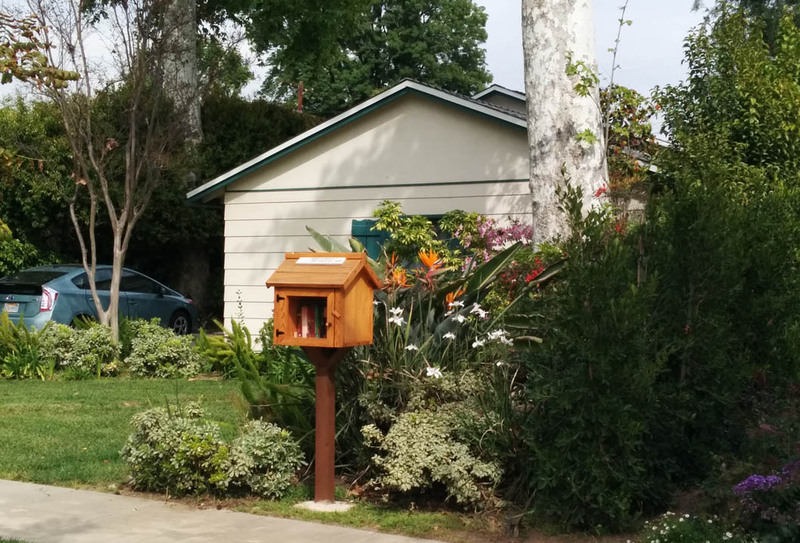 While heading into Sherman Oaks, we came across what we thought was a birdhouse, until we realized the compartment was filled with books(I’m old enough to remember what they look like). We stopped, explored and even opened up a book or two. 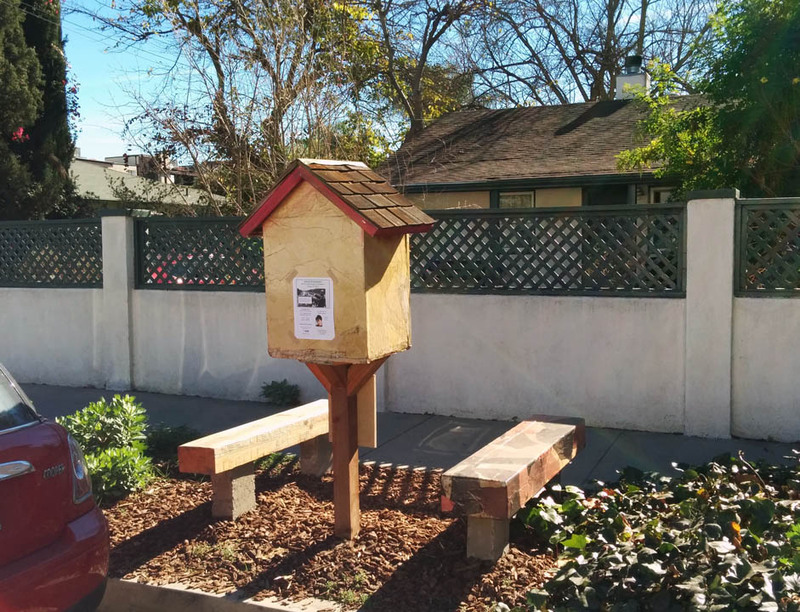 There was also information regarding these free libraries and a link to where to find others at littlefreelibrary.org. We continued on and sure enough we came across another by accident. When we cross referenced this new find with their web page, it didn’t make the listing. In fact, now that I’ve been keeping my head on a swivel a bit more, the majority of them have gone “rogue” from being listed on the website. 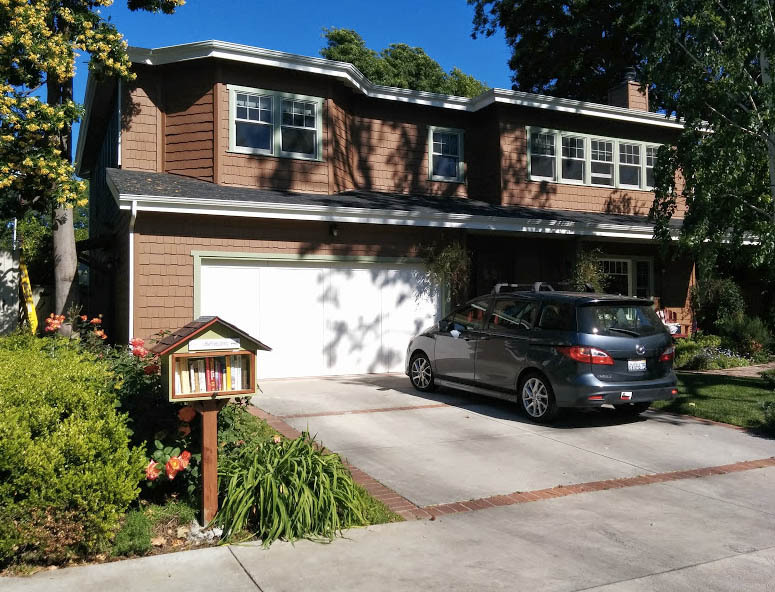 What also makes them a welcome addition is that most are accompanied with a variety of landscaping helping to create a literary garden of your own. 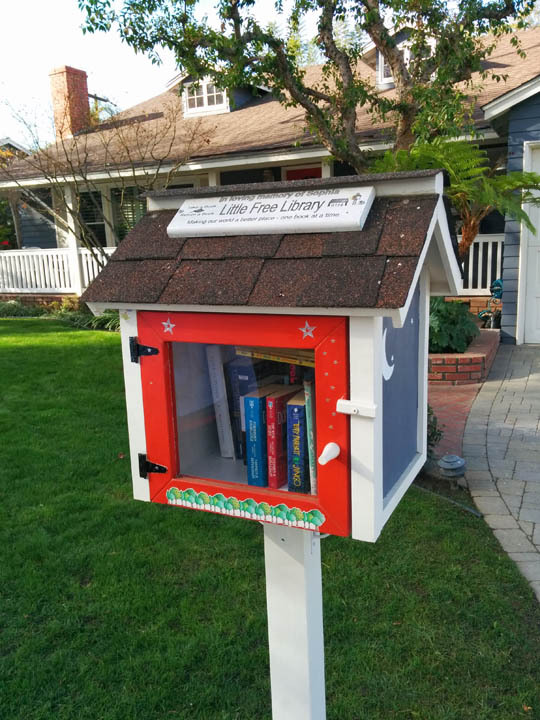 If you need another outlet to feed your Pintrest addiction, these libraries are great little projects that are great places where passers by can assemble. You know, build community.